For over 15 years we have helped our clients create new space and add luxury and style to their homes. From Victorian classical villas, contemporary apartments, or country houses, we have brought to life our clients’ vision and made the vision a reality. With considered architectural design to create amazing and functional new spaces, we can help you remodel a complete building, add extensions, lofts or basements spaces. In addition, bringing you the best in contemporary interior finishes, new kitchens, bathrooms, bedrooms, dressings rooms & living rooms. Finally, creative and inspired interior design to add the finishing touches. Our advise and vast experience spans all matters regarding property. If you’re undertaking a re modeling, large extension or renovation project, we offer a full architectural design and planning consultancy and interior design consultancy service. Our interior design experts can give you the help and advice you need to choose colours, fabrics, furniture and accessories that will make all the difference. Take a look at some of our clients finished homes, they are just simply stunning which we are proud to say have been featured in many leading design magazines. 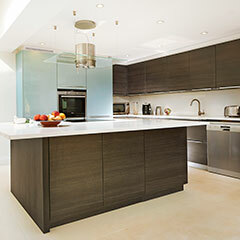 We’re a friendly team that loves to help transform all or part of your home into something special. Call 01737 452092 today to see how we can help.